There are currently around 11 million Americans who are receiving Social Security Disability Insurance benefits. While this may seem like a very large number, it is actually much smaller than the number of Americans who are disabled and should be getting benefits, but there is not enough funding in the budget, and the U.S. Social Security Administration (SSA) makes it unreasonably difficult to qualify for benefits in many cases. 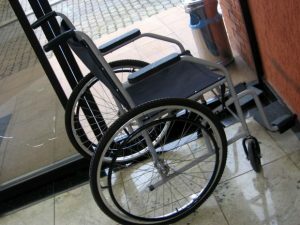 One thing to keep in mind, however, is that when a person becomes disabled, he or she is not likely the only one affected. For example, let’s say that mother of two children who is married becomes disabled and can no longer work. This happens all the time. If she applies for benefits, she will likely be denied at first and will face a long road ahead if she plans to eventually qualify for much-needed Social Security Disability Insurance (SSDI) benefits.In fact, the clear majority of those who apply for disability benefits are rejected, even when there is little question that they are genuinely disabled. This is especially true if an attorney does not represent the claimant, as the system is very much stacked up against the disabled claimants. For this reason, one of the best things you can do is to schedule a consultation with an experienced disability benefits attorney. You should also understand that you would not have to pay any legal fees unless you are successful in your claim for benefits. Getting back to our example, if our mother of two is able to obtain an award of SSDI benefits, she will likely be getting significantly less than she was earning at her old job before becoming disabled. This means that her family will have less money than they had when she was working. However, this is not the end of the story. Her husband and will likely have to take time off for work to care for her, and this may even result in him losing his job. It is often overlooked that when a family member becomes disabled, he or she will need help form loved ones, and that can affect their own earning capacity. For this reason, as discussed in a recent article from Disability Scoop, Senator Bernie Sanders is co-sponsoring a bill that would allow a caregiver who provides at least 80 hours per month of unpaid help to a disabled relative to earn their own form of benefits. It would not only apply to those on SSDI benefits, but to anyone spending at least 80 hours a month in unpaid assistance to care for a relative with special needs. Under this bill, the caregiver could earn up to five years of income credits and then could be awarded benefits based upon a sliding scale. The benefits would be up to 50 percent of the national average wage, according to the latest proposal. There is also another bill that is known as a companion bill that would allow for a tax credit of no more than $3,000 for the caregiver. While it is unlikely that this bill will pass, given the current makeup of Congress, it is an important issue and it is good that it is at least being discussed.